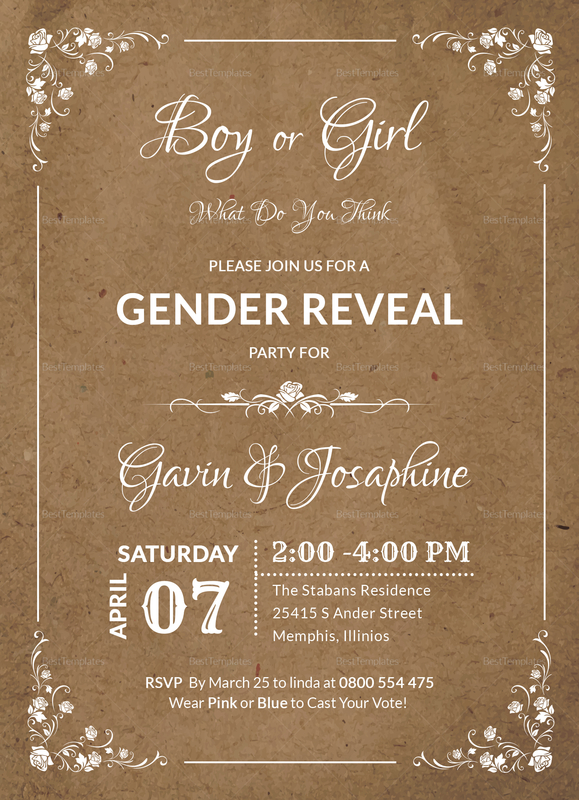 This elegant, brown, floral Gender Reveal Party Invitation Template is available for download anytime and anywhere. 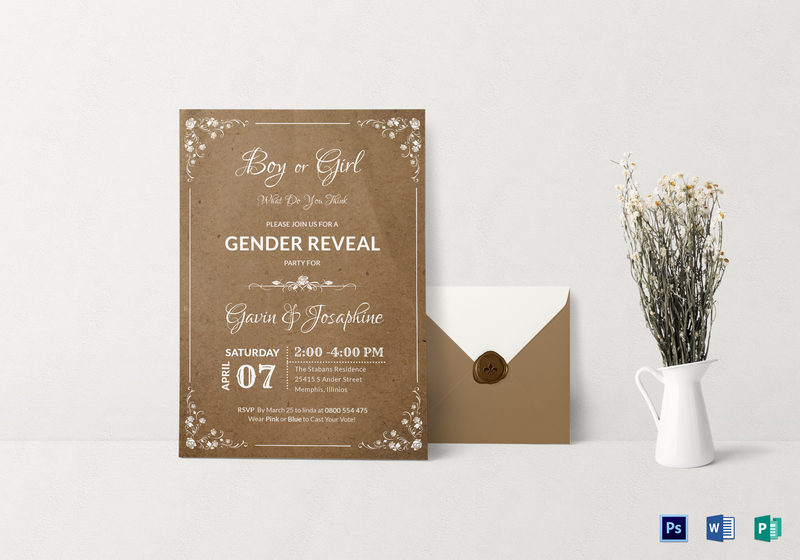 Create an amazingy beautiful invitation with this fully editable template that comes with highly customizable layouts and graphic files along with high quality photos and artwork in 300 dpi resolution. Download now to get instant access to this wonderfully designed template.